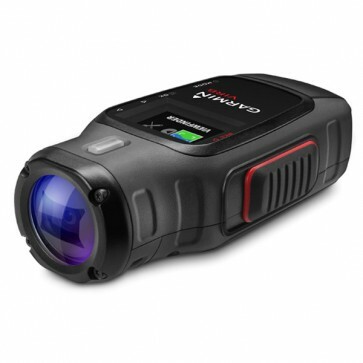 The VIRB is a true HD 1080p action camera that provides enhanced HD video recording. VIRB features a built-in 1.4" Chroma colour display that stays on when the camera is on, but uses minimal power. The display lets you easily setup/preview/playback video and adjust menu settings without detaching it from its mount. Record at 1080p for up to 3 hours with the rechargeable lithium-ion battery. And video enhancement features like Digital Image Stabilization and Lens Distortion Correction ensure footage looks great, even before you start editing. VIRB records true HD 1080p video that lets you relive every minute of your adventure in full, high-contrast, undistorted detail. In addition, you can adjust resolution and filming speed for crisp, dramatic slow motion up to 120fps. And it's all processed through a 16 megapixel CMOS sensor so you get the highest quality video and a more manageable file size for editing and sharing. Multiple HD video modes: 1080p@30fps, 960p@48fps, 720p@30/60fps,848x480@120fps. Why mash a button and hope you got the shot when you can set-up, preview and playback video on a built-in, full-colour Chroma display? The 1.4" display on the VIRB is also your window into the menu settings. Check your shot before you leap, choose slow motion, or even switch between video and still photography. It's always on the screen and the screen is always on (but uses minimal power). VIRB features a class-leading 2000 mAh lithium-ion battery that tested up to 3 hours recording at 1080p. Which means there's a good chance you'll tire out before the battery does. And with multiple charging options (sold separately) you'll have plenty of juice. Extend your filming time by carrying a replacement battery (sold separately) on your all-day adventure. VIRB was engineered for ease-of-use with a large, instant record slider switch on the side of the camera. The slide and click of the switch makes it easy to know that you are recording, even if you're wearing gloves. The overall design of the camera is both sleek and rugged which helps you integrate VIRB into your activity without having to work around a bulky camera body. So go ahead and ski or zip-line or even bobsled knowing you got the shot (and maybe the best time). 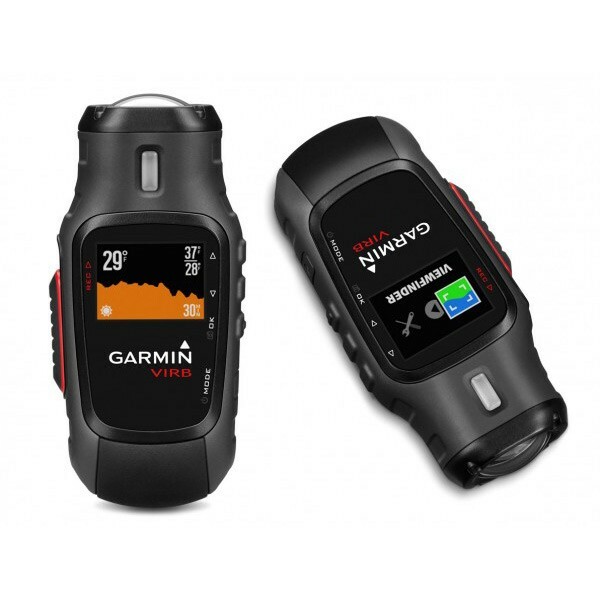 VIRB uses ANT+ wireless connectivity to enable you to use your compatible Garmin product like fenix, Oregon and Edge as remote controls. Now, you don't have to take your hands off the handlebars or remove the camera from the mount for that perfect shot. VIRB is a high-powered digital photo camera too. With 16 megapixel photo capture LDC plus a WideV lens (Wide/Medium/Narrow) to make your photos sharper, clearer and less distorted. Shoot 16 megapixel, 12 megapixel, or 8 megapixel as a single shot (on-camera button or controlled remotely) or choose Photo Burst or Time Lapse at various intervals. And it's all processed through a 16 megapixel CMOS processor for high quality images and more manageable file sizes. Don't lose a moment of video just to capture a photograph. 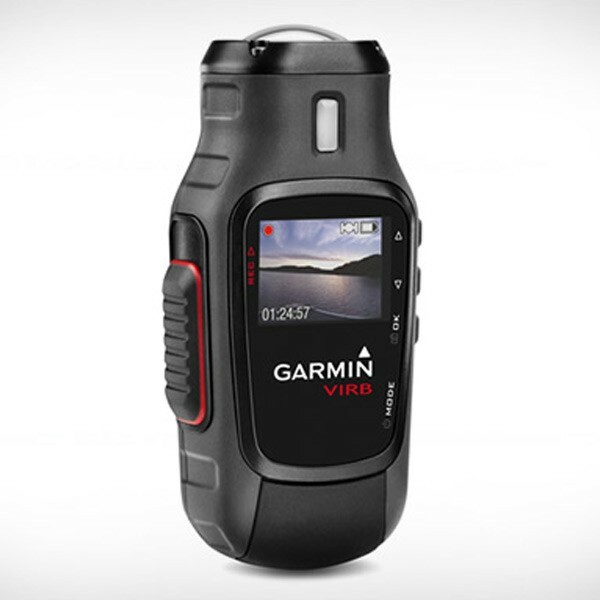 VIRB allows you to take still photos at the same time you are recording video with just a touch of the button on either your compatible Garmin device or on the camera itself. VIRB Edit is free desktop editing software that you can download to your computer for intuitive, robust video editing. Include a dashboard with your speed and heart rate with your motorcycle video, or the accelerometer and altitude data on your sky dive. Once you have the video you want to share, upload it on to your favorite share sites for all your friends to see. VIRB is rugged and waterproof to IPX7 standards right out of the box. For deeper dives and more sustained exposure, the optional Dive Case increases the waterproof rating to 50 meters.